Whether your windows need replacing your you are building afresh, uPVC Windows can offer both great value for money and long term benefits. Double glazing significantly improves the warmth of a house compared to single glazing and can reduce heating bills substantially. uPVC Windows and Doors can be fitted quickly and easily by Hayday Construction, having worked with a variety of window suppliers and fitted many windows and doors over the past decade or so we have become skilled at fitting glazing units. 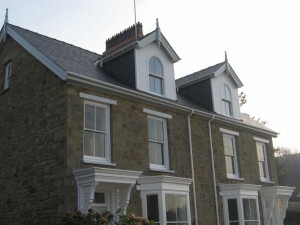 Often we have found that we can provide an invaluable service, having had the experience of building houses and general construction as well as the fitting of uPVC glazing, making us uniquely situated to offer a complete service around window replacement and fitting, backed by broad experience. Hayday Construction also offer Hand Made Timber Windows & Doors. Below you can see some examples of uPVC Windows & uPVC Doors Hayday Construction has fitted over the years.